Below are some links to organisations we are affiliated with as well as some helpful sites within the industry. We try to keep this list short and useful so if you find a dead link, please let us know. 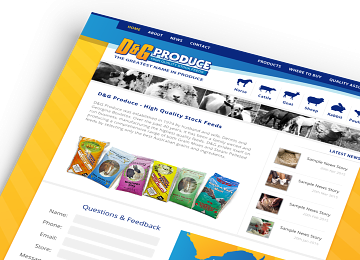 "Grant from Net By Design was recommended to us to develop a personalised website for D & G Produce a local manufacturer of Livestock Feed in the Hawkesbury. 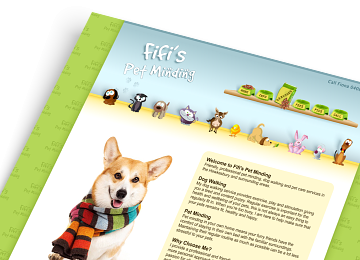 We found his knowledge and advice invaluable, his patience in developing and personalising our website to suit our needs was what we were looking for. The final result was bright, informative and above all easy for our customers to use. Any changes and additions we made along the way were never too much trouble for Grant and he always responded promptly. We would thoroughly recommend Grant and Net By Design for their technical advice and excellent customer service." "I honestly didn't know what to expect when I decided to create a website for my business and I had been to a number of other website design places to make enquiries but knew instantly when I spoke to Net By Design that this was a company I could trust to create my website. I only had one request - for it to be better than the rest and I definitely think they have outdone themselves in this regard." "We have used the computer services and knowledge of Grant for over 15 years now, so when we decided to update our image and create a new website he and his team at Net By Design were our first and last port of call. Professional, innovative and willing to listen are the things that stood out for me from the very beginning. We achieved more than we imagined possible in a short space of time and the changeover was seamless and easy. They continue to advise and help us with any questions or suggestions and at an affordable budget." 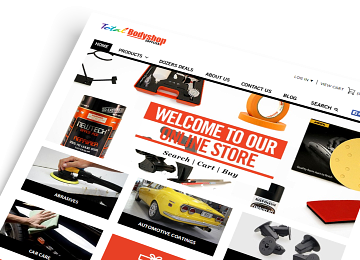 "Total Bodyshop Supplies had the pleasure of using Net By Design for our new customised online store. We are a business based in Wellington, New Zealand, and felt that it was time to update our online presence. We recognised that the way customers interact and experience with a website changes and therefore we need to adapt also. We found using Net By Design as an international service to be no different to if they were based here in Wellington, maybe even easier as meetings could be held via Skype. This made meetings slot into your day conveniently, free and made communication accessible. From the beginning there was a clear process outlined giving us a good understanding of what this creative development would looked like and what we could expect at the end. Everything that was propositioned was followed through. We liked that it was a very conversational process. Net By Design listened to how we wanted our brand to be communicated and made appropriate functionality suggestions. Throughout this process we feel that we have established a good relationship and that once the website was up and running it didn't stop there. The relationship is ongoing checking in on us making sure everything is running smoothly, quick to solve any issues, keen for development ideas and analysis of how people walk through the online store. Overall we have an online store that we are extremely proud of! It is flexible and dynamic in how we can upload images and categories, allowing how people experience it to be new, relevant and up-to-date. Also gives the impression that there are real people behind this online side of our business, not just a website left to it's own. 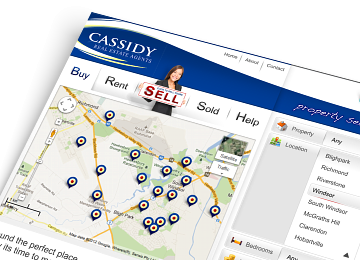 It is easy to navigate through and search selection makes it quick and easy to find what you are looking for." "Running a very busy sign making business, I am often asked by my clients to recommend someone to build a website for them. I am always cautious about who I should send them to so discovering Net By Design a few years back has been terrific for Outback Signs. Impressed with their professional approach and creative ability I now refer all of my clients with website needs to Grant and the team and they all report back with positive experiences. Impressed with what Net By Design have done for my clients over the years, and having a website update of my own well overdue it was time to call Net By Design myself and offer them a challenge. 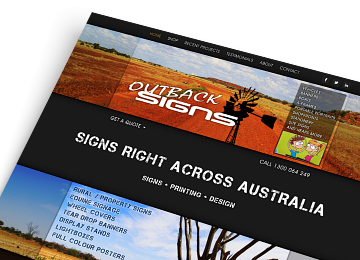 The all new outbacksigns.com.au site was taken on and meet that challenge, they certainly did! From concept to completion the team were a pleasure to deal with, always available to answer my questions, provide advice and direction where needed and totally happy to tweak things to suit my individual needs no matter how trivial they may have been. I am extremely happy with our new site and would not hesitate to recommend Net By Design to anyone wanting to stand out on-line and enjoy excellent value for money whilst staying in total control of their content."